Our take on publishing, marketing, technology and more. 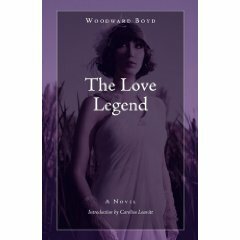 Originally published in 1922, edited by Maxwell Perkins at the behest of F. Scott Fitzgerald: a lost novel of the Lost Generation. Our culture is changing faster than at any time in human history. We’re creating more, consuming more, always at an increasingly faster pace. When we’re moving so quickly, producing so much, it’s easy for much of what has come before to be all too quickly forgotten. Rvive Books is primarily about bringing history and the present together. We utilize thoroughly modern publishing tools, along with digital production and distribution systems, the skills of a great team of book professionals to economically publish some of the fine books from the past that deserve a reading in the present. Our areas of interest include lost fiction of the early twentieth century, baseball, Connecticut and New England local history and geography, and classics of American humor. Rvive was created to republish books of the past. Because we are also interested in presenting great new original works, we have also created Dogged Pony as our imprint to publish books born completely out of current social and political concerns. Thomas Boyd is the author of Through the Wheat, a book that is widely considered to be the best American book ever written about World War I. Boyd was the author of a number of other books, including fiction and nonfiction, all of which have been out of print since the 1920's and 1930's when they were originally published. Boyd, a Marine hero, was gassed during the war. He met and married Margaret Woodward soon after returning home. She was a writer and encouraged Boyd to become one as well. They settled in St. Paul, Minnesota, where Boyd wrote a book review section for the local paper and helped operate a politically oriented bookstore as well. Both Tom and Peggy became friends with F. Scott Fitzgerald, who introduced them to his editor, Max Perkins at Scribner's, and both budding young writers were taken under the famous Perkins wing. Both writers had modest success with their books, and were able to quit their newspaper jobs, move to Connecticut, and become full time fiction writers. Boyd's career was somewhat checkered as time went on. Be broke with Fitzgerald and with Perkins, divorced his wife and quickly remarried, and was deeply affected by the suffering brought on by the Crash of 1929 and the subsequent Depression. Radicalized, Thomas Boyd moved to Vermont and ran for Governor on the Communist Party ticket. He died unexpectedly in Ridgefield, Connecticut of a cerebral hemmorhage at the age of only 37. Rvive is proud to be the publisher of all of Thomas Boyd's and Margaret Woodward Boyd's books, with the kind permission of their grandchildren. We are pleased to be publishing In Time of Peace, as it is the sequel to Through the Wheat, following Boyd's main character Hicks through the tumultuous decade of the Roaring 20's and into the depths of the Great Depression. It is a remarkably modern novel we believe will resonate with many of today's readers, as we grapple with many of the same issues faced by the novel's protagonist. We are also pleased to have a wonderful introduction to the book by Brian Bruce, author of Thomas Boyd: Lost Author of the "Lost Generation" and hope that with this new edition, Thomas Boyd will no longer be a lost author. Fielding Dawson was a novelist and artist who participated in the New York literary and cultural scene from the 1950s until his untimely death in 2002. His fiction is vivid, stream-of-consciousness writing that grabs readers and takes them along for a pleasurable and exciting ride with the author wherever he goes, physically and imaginatively. A Great Day for a Ballgame is one of Fielding's best books and has been out of print since it was first issued in 1973. It's a love story set in a New York City that many will recognize but which is no longer with us, except in stories like this one. And yes, there is baseball too, one of Fielding's great passions. Enjoy this novel, which includes a wonderful introduction by Fielding's friend Jerry Rosco, and an appreciation by the critic and scholar, Michael Hrebeniak.